My friend Jean has some really good tips on giving this Christmas. These tips will help you and your family focus more on the meaning of Christmas. They will keep you from getting all caught up in the frenzy of holiday madness. 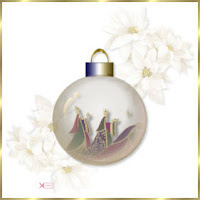 Instead, you will be embracing the stillness that the Advent season offers in preparation for the coming of the King. I have noticed that a good number of parishioners prefer to receive Holy Communion from the priest when they have a choice. What has the Catholic Church considered as home schooling in the Church's history? Secondly, why is home schooling necessary? And thirdly, how should home schooling be done most effectively? "The true stories highlighted in this vignette confirm that this world is not as it should be. Jesus declared that we would encounter struggles and pain, but He also urged us to never despair for He has overcome this world. Music by Jars of Clay." produced by CatholicMediaHouse. The video is a preview of a documentary coming out in 2009. I must admit this preview did frighten me a bit. All the warnings I heard from a homeschooling pioneering friend of mine rushed to my memory. She warned us not to flaunt the fact that we were a homeschooling family. She warned us not to take state money offered to homeschoolers for books and computers. We started homeschooling in the mid to late 90's. I thought my friend was a bit overly-protective until I reminded myself exactly what she and other homeschooling families went through to pave the way for homeschooles like us. In fact, I found Hawaii to be homeschooling friendly. Maybe I was a bit naive but I listened to my friend regardless of my feelings. I owe it all to homeschooling families like my friend's that made homeschooling relatively easy for my family to homeschool. I am very glad I heeded her warnings. I hope the new homeschooling families will heed the warnings too. "The Time for Complacency is Over"
The powerful weapon of choice in this spiritual battle must be the Holy Rosary! 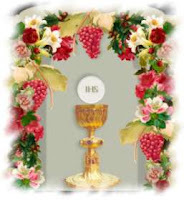 The Holy Mass is the highest form of worship. It is the sacrifice of Calvary renewed. One Mass gives God more praise and thanksgiving and makes more atonement for sin and pleads more eloquently than does the combined eternal worship of all the souls in heaven, on earth and in purgatory. 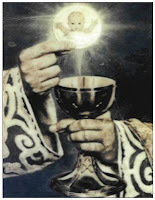 In the Holy Mass, it is Jesus Christ, God, as well as Man, who is our Intercessor, our Priest and our Victim. Being God as well as Man His prayers, merits and His offerings are infinite in value. 3. To obtain reparation for all our sins. 4. To obtain all the blessings we desire. 5. To release souls from purgatory and shorten our own time there. 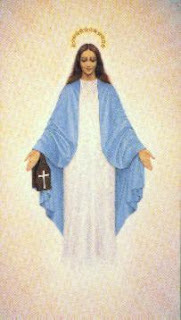 The memorial of the Presentation of Mary is celebrated on November 21. This feast corresponds to the feast of the Presentation of Jesus in the Temple. This feast refers to Our Lady's presentation at the temple in Jerusalem as a small child. 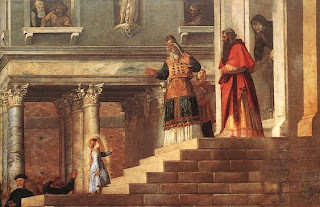 When she was only three years old, the Blessed Virgin Mary was taken to the Temple in Jerusalem by her parents, St. Joachim and St. Anne. There she was taught, lived with other little girls and was cared for by pious women. Sacred Scripture contains no text concerning this event. However, we do have the testimonies of tradition which are based on accounts which come to us from apostolic times. 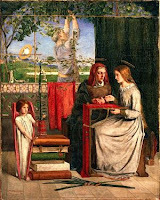 That which is known about the Presentation of the Blessed Virgin Mary in the Temple is found in the Apocrypha, principally in chapter seven of the Protoevangelium of James, which has been dated by historians prior to the year 200 AD. On this feast of the Presentation of the Blessed Virgin Mary let us ask Our Lady to help us to consecrate ourselves entirely to God. "Hail, holy throne of God, divine sanctuary, house of glory, jewel most fair, chosen treasure house, and mercy seat for the whole world, heaven showing forth the glory of God. Purest Virgin, worthy of all praise, sanctuary dedicated to God and raised above all human condition, virgin soil, unplowed field, flourishing vine, fountain pouring out waters, virgin bearing a child, mother without knowing man, hidden treasure of innocence, ornament of sanctity, by your most acceptable prayers, strong with the authority. ...She died Wednesday night, surrounded by family, succumbing after six years to amyotrophic lateral sclerosis, the disease that had progressively robbed her of mobility, communication and the ability to breathe on her own. Throughout those six years she was a signpost for a good life — a life of generosity, humor, zest, resilience, sensitivity, passion, insight, deep inner strength and sense of adventure. 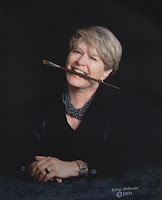 Eternal rest grant unto Peggy O Lord, and may Your perpetual light shine upon her. May she rest in peace. The Cardinal Newman Society has launched a tour of the Vatican’s Eucharistic Miracles Exhibit which includes a stop at the University of Notre Dame and the University of Minnesota at Morris, the academic home of a biology professor who displayed his desecration of a Host on his web site. Sainthood probe starts for Fr. Patrick Peyton! This is terrific news! 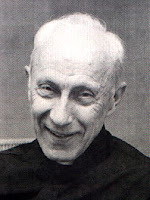 Vice-postulator Fr. 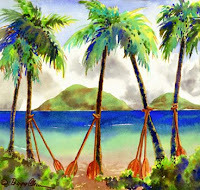 David Mercham sent me prayer cards to distribute in Hawaii. Thankfully, I kept one for myself. I have been praying to Fr. Peyton for two specific intentions relating to my son. I will let you know when God answers my prayers. It's been a little over a month since I last sent out an ALL Report, but that's because we spent that time puting together a very special and very important video report on Margaret Sanger and her racist ideologies which drove her eugenic agenda. This report is more like a mini-documentary, exposing Sanger's call to clear out "human weeds" by use of birth control, and I do hope that of all the ALL Reports you have helped promote, you give this one your most attention! You can watch the report on YouTube at: YouTube and you can watching it on blip.tv (higher quality) at Blip TV. As always, thank you so much you do for the babies! 10. If Jesus were actually visible in church, everyone would run to welcome Him, but He remains hidden in the Sacred Host under the appearance of Bread, because He is calling us to faith, that we may come to Him in humility. From the Complete Handbook for Perpetual Eucharistic Adoration History of Eucharistic Adoration. I deeply regret wasted time.... I did not consider it so precious, so fleeting, so irretrievable. For this reason my life is worth only half of what it might have been. Oh, had I but realized it then! Would that I could return to earth, how differently I would use the time given to me! Precious time! . . .
You can read the rest at Ed's blog. Thanks to Irena for sharing. In the beginning, which occurred near the start, there was nothing but God, darkness, and some gas. The Bible says, 'The Lord thy God is one, but I think He must be a lot older than that. Anyway, God said, 'Give me a light!' and someone did. Adam and Eve disobeyed God by eating one bad apple, so they were driven from the Garden of Eden. Not sure what they were driven in though, because they didn't have cars. One of the next important people was Noah, who was a good guy,but one of his kids was kind of a Ham. Noah built a large boat and put his family and some animals on it. He asked some other people to join him, but they said they would have to take a rain check. God fed the Israel lights every day with manicotti. Then he gave them His Top Ten Commandments. These include: don't lie, cheat, smoke, dance, or covet your neighbor's' stuff. Humor thy father and thy mother. One of these was Jonah, who was swallowed by a big whale and then barfed up on the shore. There were also some minor league Prophets, but I guess we don't have to worry about them. After the Old Testament came the New Testament. Jesus is the star of The New. He was born in Bethlehem in a barn. The worst one was Judas Asparagus. Judas was so evil that they named a terrible vegetable after him. Anyways, Jesus died for our sins, then came back to life again. He went up to Heaven but will be back at the end of the aluminum. His return is foretold in the book of Revolution. ...when your parish is not what it's cracked up to be, liturgically speaking. My parish is a good parish. I just thought I'd share it in case someone could use the help. I couldn't resist this list...actually, I can't resist any list. I think I have my friend Tracy to thank for introducing me to this blog. Thanks Tracy! (1) Don't stop and kick every barking dog. Don't fill up your pastor's email inbox with excessive complaints about liturgical abuses or catechetical errors. Chances are he knows about them and either doesn't care or is too feckless to do anything about it. (2) Get sanity checks. Just because you don't belong to a healthy parish doesn't mean you can't visit one. Make it a monthly habit to go Mass at a such a place. (3) Remember you are a member of the universal Church. Follow the Church's liturgical calendar and take advantage of the wealth of resources available on the Internet, e.g., homilies, commentaries, saints of the day. (4) Kick the big dog. If you want to reform your parish, focus on a big problem and recruit fellow parishioners to change it. Do not hesitate to involve your bishop or Rome if you have exhausted local options. (5) Form apostolates. Ask your pastor if a Bible study or catechism group can meet at the parish center, or, if that is not an option, meet at parishioner homes. (6) Pray for your parish. It all starts -- but doesn't end -- with prayer. (7) Lead your domestic church. You are the primary educators of your children. Make it a practice to read the lives of the saints, review a weekly chapter from a solid catechism, and gather for some form of evening prayer. Responsibility for your personal formation is part of this too. (8) Don't scowl too much. This is somewhat related to tip (2), and one that strikes a personal chord, especially as a father. A cheery witness is a good witness; a grumpy one isn't. (9) Be a Vatican II Catholic. The primary message to the laity of the Council was to engage and sanctify the world. It is outward directed. So becoming an active Catholic doesn't necessarily mean joining parish commissions, serving as an extraordinary minister, or joining the PTO. There are plenty of Catholic apostolates and organizations that need your help. (10) Be hopeful. By hopeful, I do not mean "optimistic," a natural disposition or outlook. Hope is theological -- close to God. Put it all in His hands. Do not engage in the sort of conspiracy theories that predictably and lamentably circulate in troubled dioceses. The problems out in the open are probably bad enough. (11) Seek fellowship. A fellow parishioner is organizing an Advent Bible study for couples. Many of the participants in my Monday morning catechism group have become dear friends. Strengthen the bond with your fellow Catholics by celebrating your faith with them. It is our duty to look after our priests, to pray for our priests; to love our priests and to sacrifice and do penance for our priests. "There is no such thing as a bad priest...only bad parishioners who have not fasted or prayed for our priests". In other words, we will be held responsible by God if we fail to pray and offer sacrifices for His priests. A woman called to spiritual maternity in favour of priests keeps nothing for herself. All that she has received from Christ -- all that she has acquired by His grace in the way of victories over sin, virtues, and merits; all her prayers, her penances; and, above all, her confident surrender to Divine Providence in the little things of daily life -- all of these things belong no longer to her, but rather to the souls of priests. 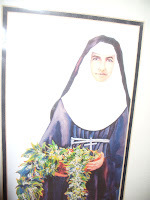 The spiritual mother of priests becomes a kind of dispensary wherein Christ places whatever remedies His priests may need in their spiritual infirmities and weaknesses. She offers her heart, in imitation of the Sorrowful and Immaculate Heart of Mary, Mediatrix of All Graces, to Our Lord, saying, "Use me, O Lord, as Thou wilt for the healing and sanctification of Thy priests. Unite the offering of myself to Thine own Offering on the Altar of the Cross and, then, let the all the fruits of our union be dispensed to Thy priests, especially to the weakest and most wounded among them." "Stop wasting time and wake up to your individual faith and live each day to its fullest. Don't let anyone or anything stop you from fulfilling God's plan for you. God gives the greatest gift of all to us: life; so live your life as a gift to God." - Angelina's message to people. I was recently privileged to have Maria, the mother of singer Angelina, contact me about her daughter. I have to admit I hadn't heard of this young singer before her dear mom emailed me. What I saw and heard made me wish I had. Angelina is a young Catholic singer yet she has quite an impressive resume and career. She sings with the voice of what you would expect to hear in a heavenly choir. The first time I heard her voice was when I visited her website Angelina Sings. Her voice struck me in it's beauty which is beyond doubt a gift from God to Angelina and to us, the listeners. She started singing at the young age of 9. She has appeared on EWTN's Life on the Rock, Catholic Familyland's Christmas concert, etc.. One of the highlights of her life has been to be asked to sing at the Vatican's Blessing of an outdoor nativity at Christmas time when she was only 15 years old. There she sang "Do You Hear What I Hear". It was also at this time she and her family were privileged to attend Midnight Mass where our Holy Father Pope John Paul II was the celebrant. To learn more about Angelina's life, be sure to read her bio at her website. Another striking thing I learned about Angelina, is that she is also a very generous person. She has donating a lot of money to various Catholic organizations. How proud her parents and family must be of this young woman! Here are two of my favorite songs by Angelina. As you may have noticed, I rarely advertise anyone's products here unless I personally feel strongly about them. In this case, I believe I would be doing everyone a disservice by not sharing about this singer with others. Her CD's will make wonderful Christmas gifts or stocking stuffers. 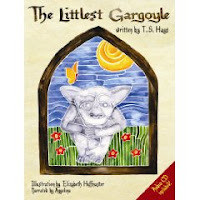 If you are looking for a gift for your children, I highly recommend The Littlest Gargoyle by T.S. 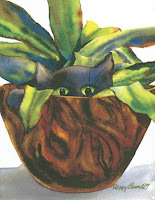 Hays, Illustrated by Elizabeth Huffmaster with narration and music by Angelina. This is the story of Dedo, the littlest gargoyle who sits high atop the Notre Dame Cathedral in Paris and shares the story of his creator, Sister Marie Therese. I believe I will review this charming book at a later time. The CDs and the book are all available at Angelina's website. Thank you Angelina for sharing your gift with us!